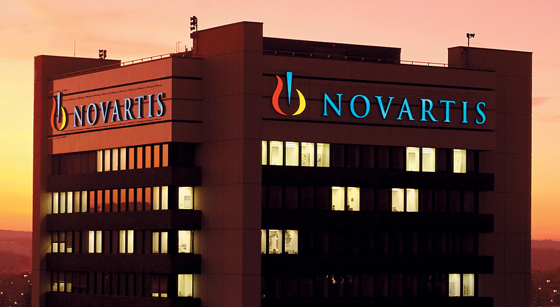 Novartis is to acquire generic pharma company Fougera Pharmaceuticals of the US in a $1.53bn deal to take a leading position in the fast-growing generic dermatology medicine sector. Just over a week after Watson announced a $5.6bn offer for Actavis to claim the number three spot in the generic sector, Novartis has responded with an all-cash deal that will consolidate its Sandoz unit as number two in the market behind Teva and make it the leading generic dermatology medicines company globally. The transaction is subject to regulatory approvals, but Novartis is expecting to complete the deal before the end of the year. Analysts said the agreement was part of a broader strategy by Novartis to shore up revenues as it copes with the loss of revenue resulting from generic competition to its big-selling Diovan (valsartan) antihypertensive drug. Sandoz said the deal would complement its "existing global leadership positions in biosimilars and generic injectables, anti-infectives, and ophthalmics," and would allow it to use its global distribution network to channel Fougera's products into new markets. New York-based Fougera reported operating profit of $173m on sales of $429m last year, and when combined with Sandoz' dermatology business will create a division with annual revenues of nearly $620m, mostly in the $2.1bn US dermatology market. The company employs 700 staff at two main facilities and is split into two business units. Fougera itself sells around 45 generic products, while another unit called PharmaDerm focuses on the speciality end of the dermatology category with 17 brands. Dermatological drugs are an attractive market because they are somewhat insulated from generic competition, as they tend to be harder and more costly to manufacture than oral dosage forms. "Fougera and Sandoz serve many of the same customers in the US, creating significant sales and cost synergies with Sandoz's sizeable US generics business," said Don DeGolyer, president of Sandoz US.